Poker is regarded as one of the fastest growing gaming platform in the industry today. With its availability in both land-based game centers and online sites, it has gained prominence among newcomers and regulars. Its offered payout values and bonuses to its players have also contributed to its success in the gaming industry. But there have been several discussions if this classic table and card game should be considered a plain, simple game or one of the legitimate sports any region can offer. 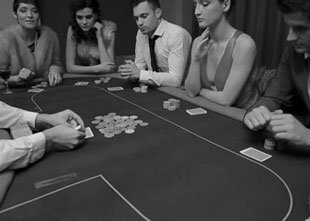 There are several factors which have contributed to the popularity of poker across different regions worldwide. One element to consider is its evolution from a simple land-based and online game to the most viewed sport in different parts of the world, primarily in the United States. There are several poker tournaments being hosted in various regions ranging from weekly tourneys to big poker events wherein players can win as huge amounts of stakes. These tournaments are also being televised through prominent media outfits like ESPN and Fox Sports - which also host some of the huge sporting events worldwide. Aside from TV appearances, poker tournaments are also being advertised via print media and magazines, as well as huge billboards which promote the jackpot amounts players can win. Another factor which gained poker its prominence in the gaming industry is that it does not choose who its players should be. They are not required to be physically fit or experienced players to join and win in different poker events. Citing here as an example was the extraordinary Cinderella story of Chris Moneymaker during the 2003 World Series of Poker. Moneymaker was just an accountant and active online poker player back then and had no experience playing in any live tournaments or poker events. WSOP 2003 was his first ever tournament and he's not expecting any positive result favoring him for this renowned sporting event. With the skills he acquired while playing online poker, he bested some of the top and professional poker players worldwide to win the jackpot amount worth $2.5 million. He didn't just win the tournament's top prize but also the respect of his fellow players who may have somehow underestimated him and his poker skills. Moneymaker believed that anybody can be the best in their chosen sport if they have the necessary skills and abilities to succeed. Just like what Moneymaker proved in the 2003 WSOP, poker players don't just win with pure luck and chances but with long sessions of practice and trainings to familiarize themselves with the sport. According to an article about the sport, poker requires its players to have tons of skills to succeed in this game. Similar with other sports athletes, having the right talent and abilities on this sport will lead them to prosperous careers. While others still oppose the idea that poker is a skill sport, regular players believe that winning in tournaments is always dependent on the skills they apply and how they play their hands rather than them being lucky. They also considered the stress and pressure they feel every time they seat on a table full of professional poker players who are all up for the jackpot at stake. It usually requires a lot of focus and a remarkable composure to handle these factors to succeed in the said sport. Players don't need to read through all poker details and guidelines for them to better understand the game. It is advisable that they determine first which aspects are problematic for them and focus on them one by one to ensure that they fully understand it. It is very essential to solve on these issues individually to avoid mix-ups and misinformation in some elements. It is also beneficial for players to push themselves in learning and understanding difficult aspects and mechanics of the game. This will challenge them on doing their best to improve their gameplay and techniques. It is also important to get immediate reviews after every game as this is an essential factor any player can consider to excel in poker. It allows players to understand their missed moves and their successful ones which can be applied on their next gaming sessions. It is very essential for players to always keep on learning their acquired skills until they master them and they are unconsciously applying it every game they participate in. Several players believe that there is thin line between the contentions on whether poker should be considered as a casual game or a sport. Those who think this as a game have considered factors like its simple gameplay and mechanics which anyone can understand. According to them, its availability in both land-based game centers and online gaming sites give access to new players to try and understand the game. 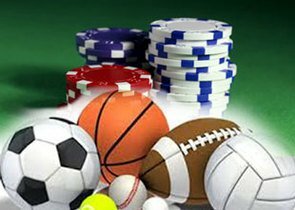 In addition to this, they also believe that players don't require much skills and abilities to excel in poker compared with other sports. Poker for them is a game of chance where players depend on their lucky hands to win big on the table. They are also considering the minimal physical activities and movements its players must exert in every game - compared with other physical sports like basketball, football, and boxing. However, according to some professional players, poker is just like any other mind sports which require extensive intellectual skills and abilities for anyone to excel. 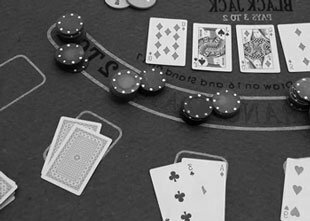 It may seem unrecognizable but these seated players around cards and chips are very tensed and pressured to play the right hands to win the jackpot at stake. They also added that the most common trick of bluffing used in poker requires so much practice before anyone can perfect it - if there's someone who can master it. It is extremely difficult for poker players to deceitfully play their hands in front of their serious competitors and the large tournament crowd. If we consider these details and factors on whether it should be considered a game or a sport, I think that poker being a sport is more acceptable and substantial. The modern world somehow embraced this contention given that there are already tournaments being hosted across regions and global promotions and advertisements for the said events. Furthermore, professional poker players are already topping leaderboards which implies the interest that these players have on the said sport. In addition to these, most of the players nowadays are very dedicated on improving their craft by learning new skills and techniques which they also share to new and upcoming poker players.